Design & Construction Week (DCW) is happening in Las Vegas this week and Heatilator will be there – front and center! DCW is a huge trade show that combines the International Builders' Show (IBS) and the Kitchen & Bath Industry Show (KBIS) under one roof in the Las Vegas Convention Center. The International Builder Show alone is the largest annual light construction show in the world, with literally miles of the latest and most advanced building products and services ever assembled. Add KBIS and show organizers anticipate that 125,000+ residential construction and design professionals will attend, combing through 3,750 exhibitions in more than 4.7 million square feet of space. It’s a big show – no doubt! 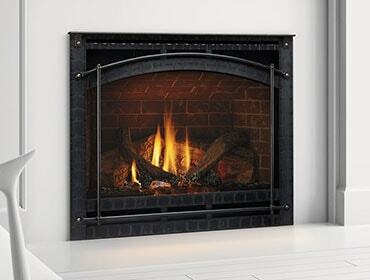 We’ve got some exciting things planned for the show and can’t wait to highlight all our best-selling fireplaces, as well as our new Ion series! Available in square, vertical, and horizontal models, the Ion’s slim design – just seven inches deep – allows builders to incorporate modern design in nearly any room. Installation is easy, since the series can be recessed into a wall or installed flush. If you are going to the show, be sure to stop by and visit us in booth C6116!